Check out this cool concept from designer Lu Le, the Pea Speaker. 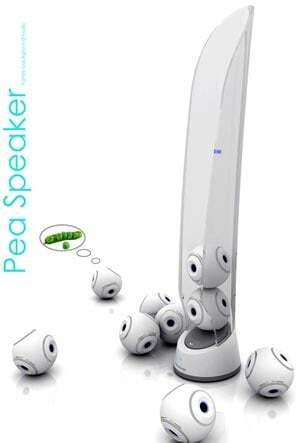 The Pea speaker is a wireless speaker system with a pod and seven individual bluetooth speakers. 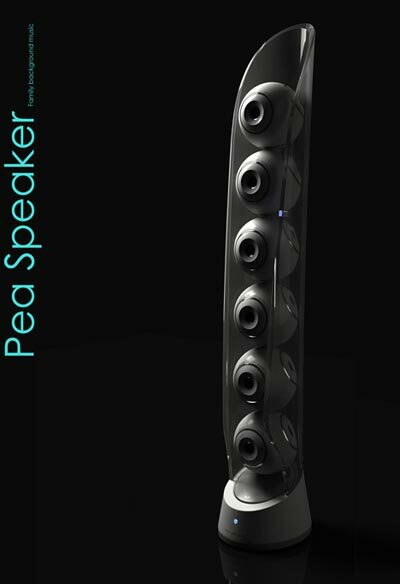 The individual speakers or pea’s can be placed anywhere around the room, and one of them features the built in volume and other controls, which changes the other six. Each of the individual pea’s has a built in rechargeable lithium ion battery, and they are placed in the pod, where they recharged via induction. This is a great concept, and certainly would not look out of place in your stylish apartment.